Attorney General Jeff Sessions said a second special counsel to probe the Justice Department’s handling of the Russia investigation is not yet warranted. Sessions wrote in a letter in response to recent calls from Republicans to appoint a second special counsel. Attorney General Jeff Sessions tamped down on Republican calls for a second special counsel on Thursday, announcing in a letter to several top GOP committee chairs that a special counsel to investigate possible FBI misconduct is not yet justified. In a letter to House Judiciary Committee Chairman Bob Goodlatte, House Oversight Committee Chairman Trey Gowdy, and Senate Judiciary Committee Chairman Chuck Grassley, Sessions wrote that the standard for bringing on a special counsel had not been met. Instead of having a special counsel investigate the Justice Department for any possible misconduct in its handling of the Russia investigation prior to special counsel Robert Mueller’s appointment, Sessions announced that USAttorney John Huber of Utah is examining the claims of wrongdoing. Huber was nominated by former President Barack Obama in 2015 and was reappointed by Trump last year. 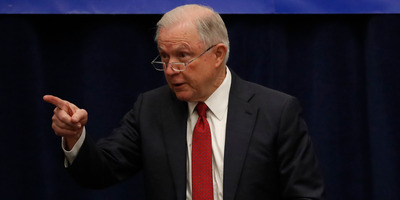 Sessions said Huber was working in tandem with Department of Justice Inspector General Michael Horowitz in the review. Upon the conclusion of that review, Sessions said he will determine whether any of their findings merit the appointment of a special counsel.